When cities repopulate, there is a window of opportunity to respond to the change. Neighborhood revitalization efforts are successful when residents transition from advocacy to ownership, non-profits stay in the communities they serve, gentrification is mitigated, and unrealized distressed properties are leveraged through financial instruments that target stakeholder inclusivity and equity. Common Ground was founded on the Theaster Gates, 9 Principles of Ethical Redevelopment. These principals are the filter through which we create site selection and provide a map to navigate the very bumpy road of transformative real estate development projects. We are in partnership with the communities who will be most impacted by our real estate development style. Our work is within neighborhoods that are under the threat of gentrification and we seek to find ways to incentivize opportunities for regular people to participate in the financial transactions of our projects. 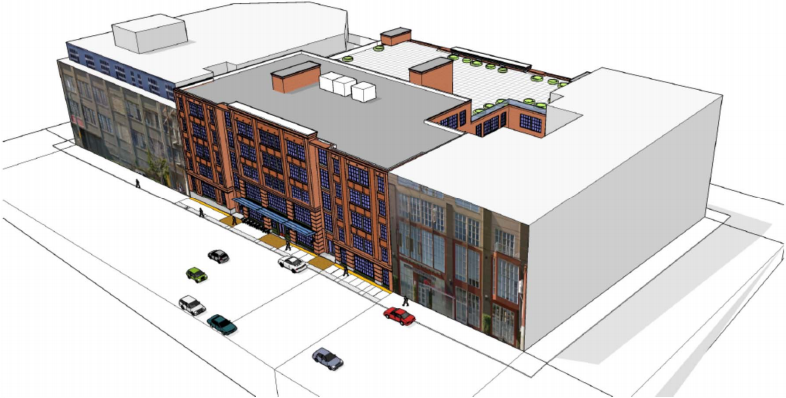 Fresh on the heels of the highly successful real estate venture 1850 Bryant, Common Ground is thrilled to partner with another innovative community-based real estate development project. The building located at 2020 Mission Street, will house 44 units of affordable housing through Mission Economic Development Agency, expanded childcare services for Mission Neighborhood Center, and space for studios and offices of Dance Mission Theater, a multicultural center for dance and dance related activities. The deal, which is still in preliminary negotiations will cost close to 44 Million dollars with an estimated completion date of 2022. Common Ground successfully filled 1850 Bryant Street with over 100,00 square feet of nonprofit users and was one of the fastest entitled projects in the Mission District, completing entitlements in less than 16 months.